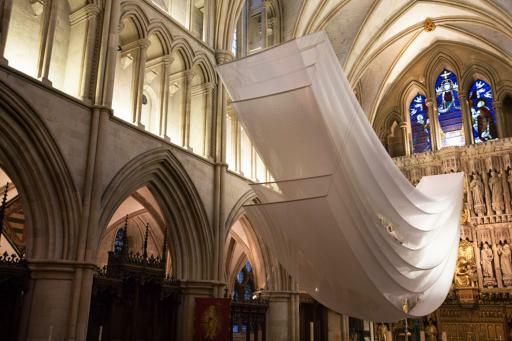 Andipa Gallery has joined with Southwark Cathedral to bring a major installation of Angela Glajcar for the duration of Lent. 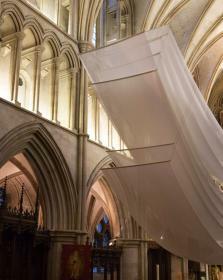 This vast piece will go across the expanse of the cathedral from the east end window. The translucence of the glass fabric within the artwork is consciously combined with the light, in order to create varying ambiances throughout the day. This piece is typical of the sensitivity and expertise of Glajcar’s artwork, a perfect state of equilibrium of lightness and heaviness, creating a transience sculpture befitting its location.